Bournemouth have signed former Leeds United forward Max Gradel from St Etienne for an undisclosed fee. The Premier League newcomers have agreed a four-year deal with the 27-year-old, who had a loan spell with the Cherries in the 2007-08 season. 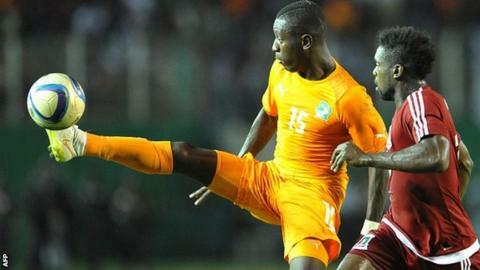 Ivory Coast player Gradel began his career at Leicester City and moved to Leeds in 2010 after a brief loan stint. He joined St Etienne 18 months later and was their leading scorer in Ligue 1 last season with 17 goals.